We are all the stuff of stars. All born with our magic. Our Light. It is you. The very bliss-t of you! Step into your Light. You be you. Begin! Shine! Yes! 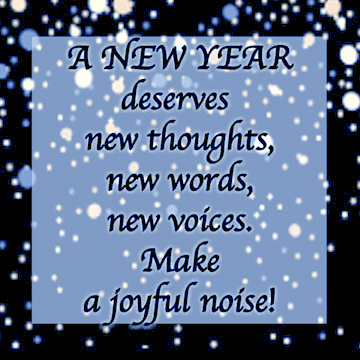 Make a joyful noise! New! New thoughts… creating new words… creating every act… creating life. Your life. Yes! Create! Sparkle! Begin!